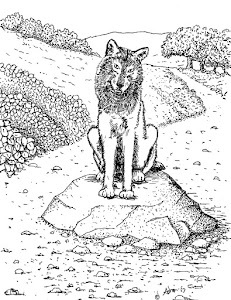 Beyond These Dark Lands Are Edges Of Joy: How Many Friends Should Preview My Book of Poetry Before I Publish It? How Many Friends Should Preview My Book of Poetry Before I Publish It? 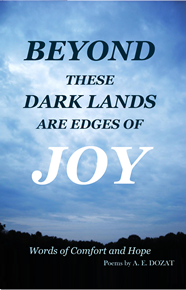 I have worked hard on putting together a collection of Poems for my book, Beyond These Dark Lands Are Edges Of Joy. I want my hard work to show and for my readers to be blessed by it without being distracted by errors. Sometimes a person gets so involved with a project and so close to it that they cannot see everything objectively. I sometimes get so romantic about my work that I do not see any problems and assume everyone understands what I am saying. So I have asked some friends to review the project to catch any issues and advise me. To have some friends read my poems and give me feedback is not as easy as it sounds. First, my friends are very busy people; they are all professionals in one way or another, so I am a little reluctant to impose on them. Second, would relationships be strained? What if someone was afraid to make an honest criticism? Would they begin to avoid me, and would I have injured that friendship? Also, who should I ask? I can't ask everyone, so what if someone I did not ask feels left out and hurt? I will need to give them copies, but printing costs money and even though I do not expect to make money on the collection of poems I do not want to go broke publishing it either. What if I asked so many people I later couldn't remember who? What if I gave a copy of my work to some well-meaning friend and they misplaced it? That could cause problems with copyright and ownership later on. I settled on five friends who I respect for their deep faith in God. These friends are very educated, sophisticated and intelligent people. I am confident in their opinion. Five seemed to be a good number since I could afford to print five copies. I could easily remember who has copies of my work. Four have responded. The fifth is overwhelmed with work, so I do not expect a response soon, but I anticipated this would happen to at least one. Those who have responded so far have had words of praise and encouragement. Few have given me a suggestion or two which I accepted and seek to incorporate into the project. I will be sending this to the printer in a few weeks and feel more confident in the project now because of the help of my friends for which I am very grateful. I do not know if five is the number of friends I would use in every case and for each book of poems I write. Next year I might feel more comfortable with ten or just two, but I think for me five reviewers is working out very nicely.